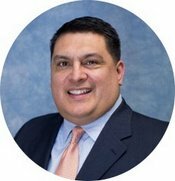 Mr. Joseph G. Rendon serves as superintendent of the Por Vida Academy Charter District (PVA) based in San Antonio, Texas. Under the direction of Mr. Rendon’s strong leadership for over 20 years, the district has grown to three campuses during that time, to include Corpus Christi College Preparatory High School and Cesar E. Chavez Academy, both in Corpus Christi. PVA was one of the original 19 charter districts in the state of Texas. He started his career as the school social worker of the charter district and worked his way into the classroom and ultimately the district leader. Mr. Rendon began his passion for educating and caring for children at Our Lady of the Lake University where he earned his bachelor of social work. Soon after graduation he relocated to Ruidoso, New Mexico and began fieldwork as a caseworker for child protective services. After a year of difficult and heartbreaking work, he decided to return home and complete his master’s of social work at Our Lady of the Lake University. During his tenure at PVA, Mr. Rendon has earned his teaching certificate, principalship, and superintendent certification. He works diligently to ensure that students at the Por Vida campuses have access to quality teachers and a chance to complete their education. Mr. Rendon is also very active outside his life as a superintendent with his family, including his wife and four children. The Salary of the Executive Director/Superintendent of Por Vida, Inc. is $135,000 per year.